I was born and raised in south Florida and, after a stint in the army, was working at the local electric utility as a meter reader during the early space program. As with almost everyone, I was completely enthralled with the emerging program. During Shepard's short first flight, I carried a small (for those days) portable radio tucked between my shoulder and my ear as I walked my route reading electric meters. I repeated this some months later when John Glenn made the first US orbital flight. I thought it would be a great honor to be working on the program but never thought that I might do so. At the time I was going to school in the evenings at the University of Miami and Dade County Junior College. 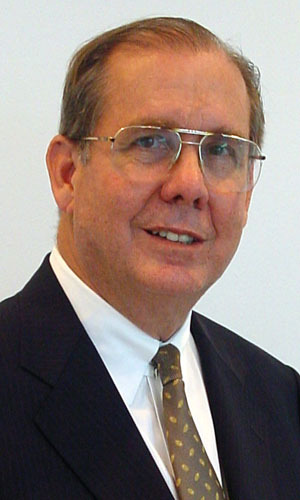 In August of 1963, I left the electric utility to study electrical engineering full-time at the University of Florida. In August of 1966, upon graduation, I considered myself extremely fortunate to be hired by The Boeing Company to work at the Space Center. I was assigned to the Propellants Electrical Section and my main duties were with the Propellant Tanking Computer System (PTCS) although I did do some support work on the other systems within the Section; the Data Transmission System (DTS) and the Digital Events Evaluator (DEE). 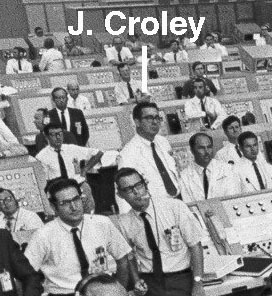 I was extremely proud and happy to be associated with the program and was in the Firing Room on the launch team for all but one of every Saturn V launch through Apollo XI. Most of the technology used was not state of the art but mostly '50s technology - the PTCS, for instance, utilized analog computer circuits instead of digital. Contrary to what many believe the work was not very technically challenging (at my low level) in the Ground Support Equipment. But during the last 20 or 30 minutes of each launch, the tension and exhilaration were incredible and I would not trade that experience and those memories for anything. It was absolutely electric and I remember one senior NASA engineer, Graden Korn, saying he always had goose bumps during that phase of every launch even though he had been in the business fifteen years. The most impressive aspect of my little over three years at KSC was my association with the truly outstanding engineers (NASA and Boeing) it was my privilege to work with. Their influence had an extremely positive affect on my later career. After Apollo XI, I and thousands of others were let go as the program was scaled down. My career took me many places throughout the world and although I never returned to the Aerospace industry, my experience there has been a great influence and source of satisfaction.